The church land was bought and incorporated on October 26, 1937 with the support of Fr. Mark Romanovych, OSBM. The founders of the Parish were: N. Kobylansky, W. Balash, Michael Achtymichuk, O. Achtymichuk, I. Kolodychuk, I. Kleparchuk, V. Lemko, V. Widynowska, Achtymichuk, Anna Lesiuk, Woroch and Fedoryshyn, I. Gach, T. Magega, J. Tomashevsky, V. Stefanyk, N. Stefanyk, V. Makal, I. Humeniuk, D. Lazarenko, T. Yaskiw, I. Yuskiw, V. Topylko, IU. Lucyk, I. Choma, H. Lesiuk, S. Ruzycky, D. Proc, W. Diduch, M. Batiuk, E. Yurkowsky, N. Holychuk, V. Nay, P. Woroch, I. Hewko, A. Fil, W. Kuly, Anton Bohdansky and Ivan Yurkowsky. There were approximately 40 founding families of the Parish. The annual meeting held on January 30, 1938, decided to start building a church (60’ x 25’ x 90’) in the form of a cross, $3,000.00). There is also a church bell. The Parish priest was Fr. Ignatius Lesiuk, OSBM, and the Parish council members were: L. Mayko, Vasyl Vydonovsky, I. Tsikaliuk, P. Babiy and M. Batiuk. The contractor was R. Weres from Mundare. The first known resident was Ivan Kleparchuk, who bought 2 acres of land and built a house. The town of Hilliard was established in 1912, although the faithful started to come in 1902. The faithful were coming together for the first services in the house of Anton and Irene Achtymichuk. The Parish was very dynamic in the beginning but with time the faithful were leaving the town and moving to Edmonton. The Basilian Fathers who served the community: Fr. Mark Romanovych, Fr. Ignatius Lesiuk, Fr. Juvenalis Slota, Fr. Volodymyr Shewchuk, Fr. Epiphany Pashchak, Fr. Orest Zasiybida, Fr. Modest Gnesko, Fr. Benedict Siutyk and Fr. Patrick Paschak (1949-1952), Fr. Gregory Chmilar and Fr. 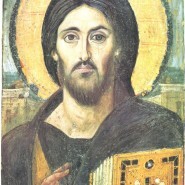 Josaphat Skwarok (1952), Fr. Josaphat Skwarok and Fr. Peter Hrabec (1953), Fr. Peter Hrabec and Fr. Borys Lysak (1954), Fr. Borys Lysak and Fr. Eugene Kushko (1955-1956), Fr. 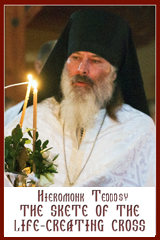 Benedict Hrynyshyn (1957-), Fr. Josaphat Konchak and others (1983- ). There is also one member of the Eparchial clergy who served the parish: Fr. Oles Zachariasevych.